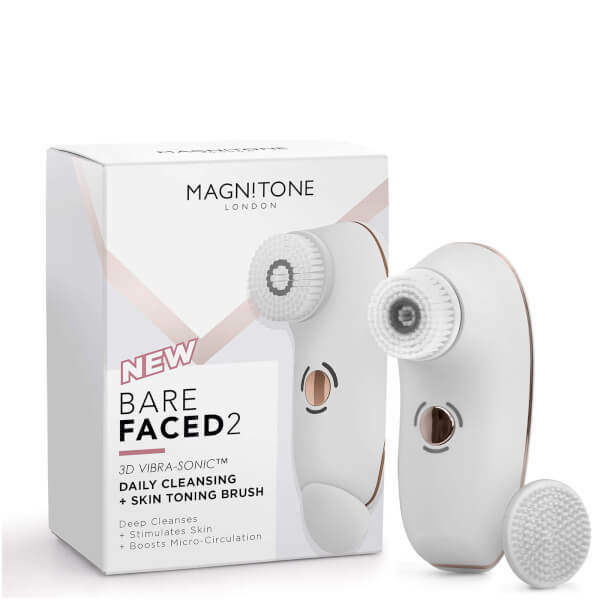 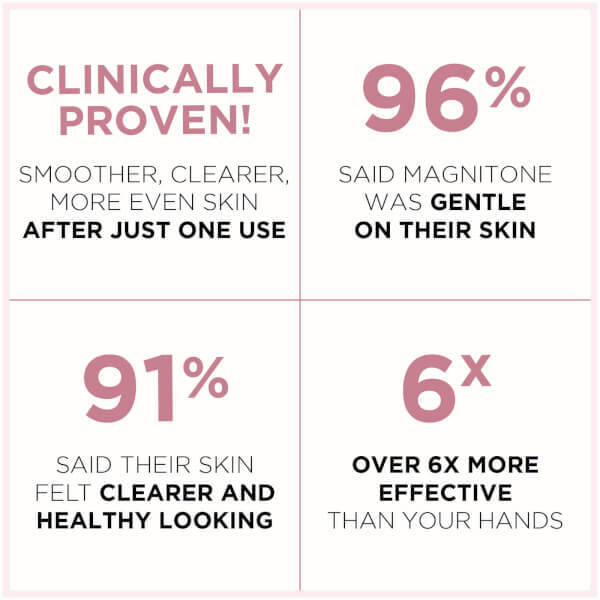 Discover the benefits of Magnitone BareFaced 2 Daily Cleansing and Skin Toning Brush; a fully waterproof tool that cleanses, massages and tones skin to leave it softer, smoother and healthier-looking. 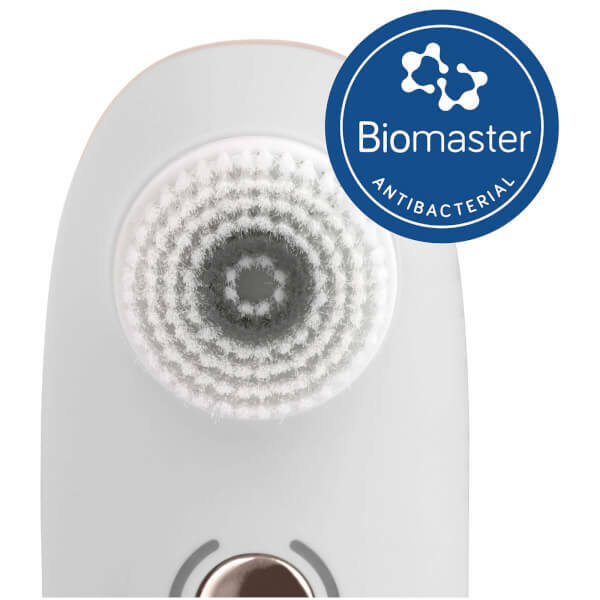 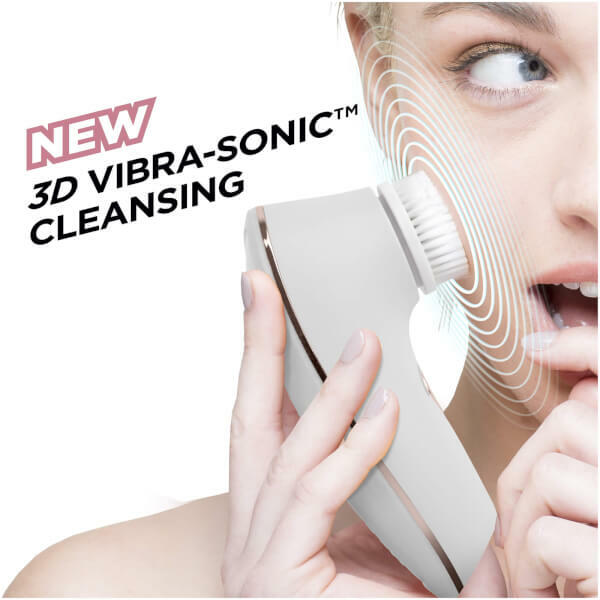 Powered by award-winning 3D Vibra-Sonic™ technology, the innovative device combines sonic oscillations and pulsed vibrations to deliver a deep pore cleansing action; simply glide it over the face for one minute to effectively draw out makeup, impurities and dead skin. 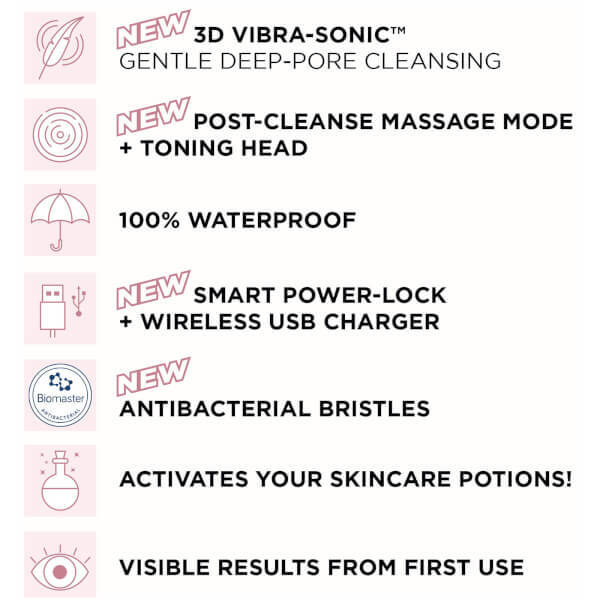 Arrives with two interchangeable attachments, including a PoreFect anti-bacterial daily cleansing brush head and a Tone It Up! 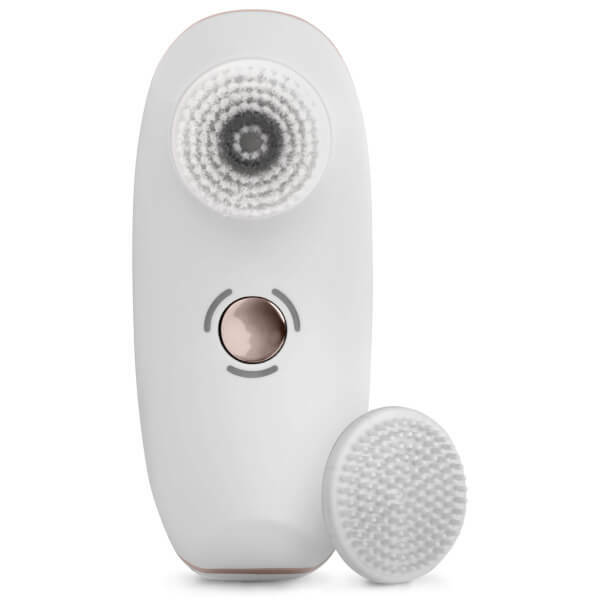 silicone head to stimulate skin and improve absorption of following skincare products. 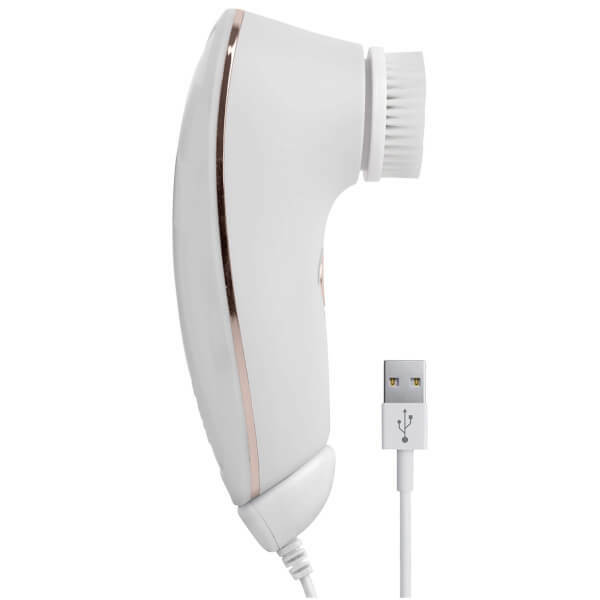 The tool boasts three modes (sensitive, deep cleanse and PulseLift toning) for a customised regime that has never been quicker or simpler. 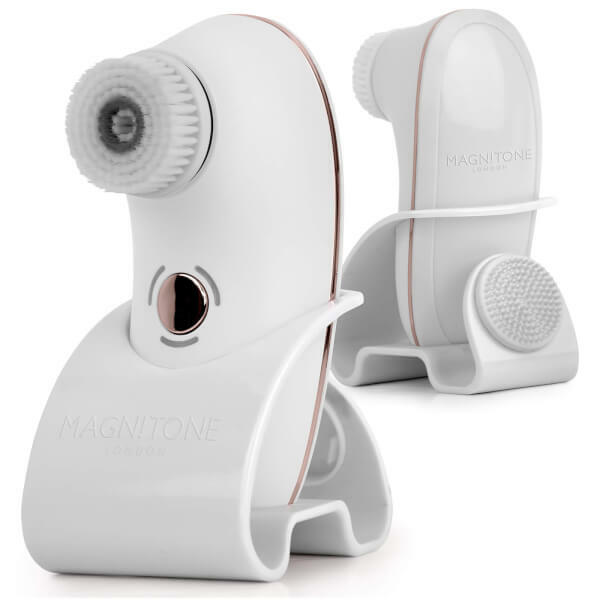 Easy to use in the bath or shower as part of your regular cleansing and toning routine.